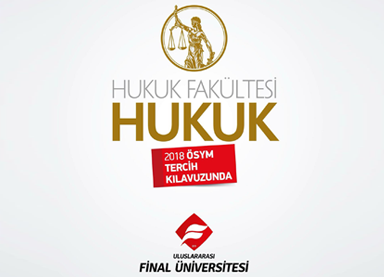 The Final International University Faculty of Law has been approved by the TRNC Higher Education Planning, Supervision, Accreditation and Coordination Board (YÖDAK) and The Turkish Higher Education Council (YÖK). The program, to be taught in Turkish, will commence in the 2018-2019 academic year with specialist academic staff and physical infrastructure already in place. Dean of the Faculty, Dr. Meltem Dikmen Caniklioğlu emphasized that the Faculty is committed to the highest of standards and achievements in line with the principles of the Final Group and the DMG group, and the needs, demands and principles of the legal field and judicial system.